© 2016 Koyoharu Gotouge, Shuueisha Inc.
Learning to slay demons won’t be easy, and Tanjiro barely knows where to start. The surprise appearance of another boy named Giyu, who seems to know what’s going on, might provide some answers… but only if Tanjiro can stop Giyu from killing his sister first! You thought deeply about the manga “Demon Slayer: Kimetsu no Yaiba” and now you think it’s time to put these thoughts into words and to do so in a well-structured form? Then now is your chance to be the first to share your review about “Demon Slayer: Kimetsu no Yaiba” with our community by creating a review thread for it and posting your review there. Use the button below to quickly create the thread! You want to share your opinion on the manga “Demon Slayer: Kimetsu no Yaiba” with other members of our community, but you don’t really have enough to say about it to fill a whole review? Then don’t hesitate to create a comment thread for “Demon Slayer: Kimetsu no Yaiba” using the following button and be the first to share your thoughts! 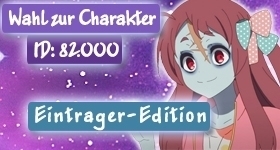 Release Date: 15.02.2016 ‑ ? For manga fans it’s usually very important to know who the author and illustrator of a manga is. You can support us in supplying this vital information to our community. 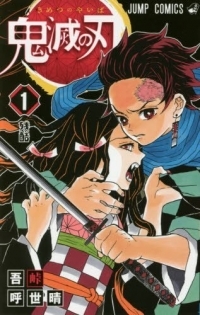 Add any mangaka or illustrator for the manga “Demon Slayer: Kimetsu no Yaiba” to our database using our entry form.